Francesco Dimitri is an Italian magic realist author living in London, a business story-teller, and a lifetime searcher for wonder. 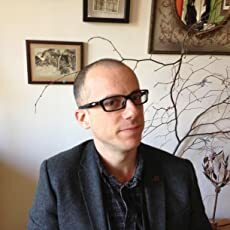 He has written in many different forms (nonfiction, fiction, comics, cinema, digital media, essays, magazines) and worked for top business clients. In his quest for wonder he has shot documentaries about UFO cults, slept deep into the forests of Transylvania, conversed with mathematicians, artists, chefs, psychologists, stage magicians, and strangers in crowds. CLICK HERE FOR MORE STORIES BY FRANCESCO DIMITRI. 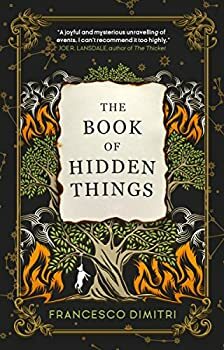 Francesco Dimitri’s 2018 novel The Book of Hidden Things is one that I appreciated more than I liked. In fact, I had to think about it for a few days before I wrote this review, because I started seeing more positives in it upon reflection. This is because, despite the title and the packaging, I’m probably not the ideal audience for this book. In reading this review, understand that your mileage may vary.